This was completely new to me when I first saw it in Spain, Evi. They're oddly captivating - we just stood looking at it for ages, trying to work out what it was. After seeing pictures of these in a book, my daughter wanted one when she was little. I had a guinea pig when I a wee lad, Jingles. His name was Tom, he was black and very handsome. Perhaps that's why I was so taken with the capybara ... ? My kid's piggy was called Flash - cos he could move like a flash of lightning! 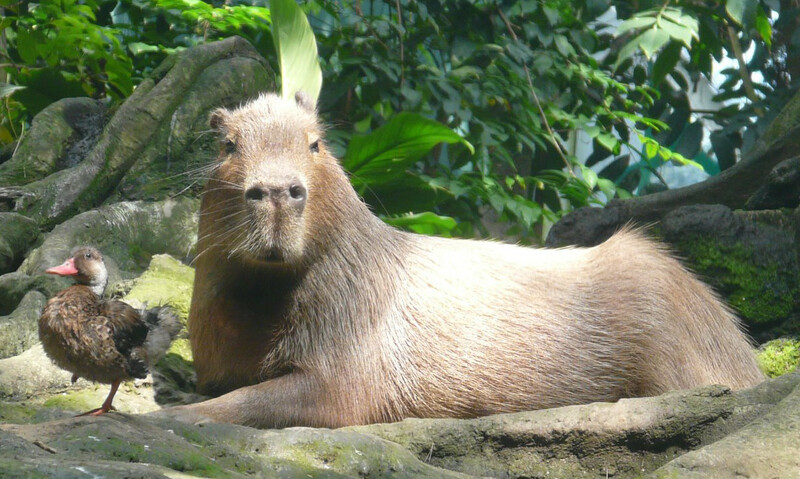 I've always been fascinated with the capybara simply because of its sheer size! Oh my word, look at that glorious guinea pig dog! It's amazing! It's gorgeous! And it likes to go for walkies? That's it, I no longer want an orange tomcat. 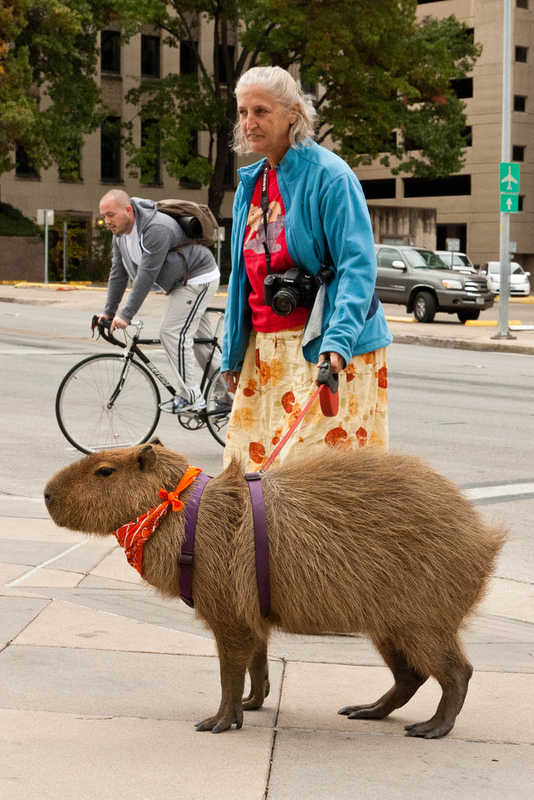 I need a capybara.